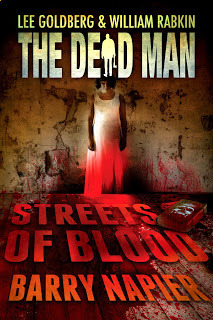 Streets of Blood, the 18th entry into the Dead Man series by Barry Napier, has the distinction of being the first one chosen by way of a contest. The creator and producers of the series decided to hold an “Anyone Can Write a Dead Man Novel” contest and received hundreds of entries. Napier’s submission was the winner. The opening of this episode doesn’t even feature Matt Cahill, the ax-wielding resurrected hero of the series. It takes place in an assisted living home for the elderly and consists of the memories of an old woman. It’s a very beautiful beginning to the novelette which quickly turns dark. I can easily see why Napier’s submission won the contest. In Streets of Blood, Matt Cahill is attracted to the town of Steeple after reading about a series of viscous murders which have taken place in the quiet little burg. Steeple appears to be a serene little town on the outside, but Matt finds a level of anger brewing on the inside. People snap at one another and the tension is rising. 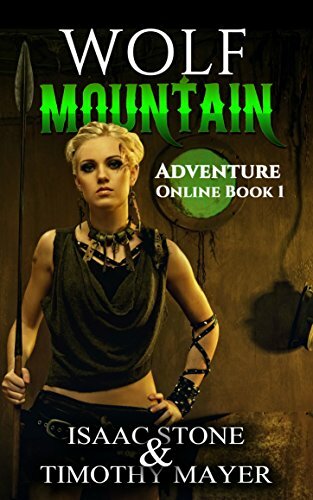 He takes a job at the assisted living facility to try and find out where the source of the evil originates. Matt doesn’t see any one as a walking corpse which means the evil generated by his astral nemesis Mr.Dark hasn’t spread into the Steeple.But something is causing random violence in the citizens and he needs to find out what it is. There’s a lot more background in this story than usually found in Dead Man episodes. I can’t help but wonder if Napier had originally planned Streets of Blood as a separate horror novel then adapted it to the series. It works just the same and is one of the more original offerings of the series.